Congratulations to Santa Clara Law Environmental Negotiation Team! 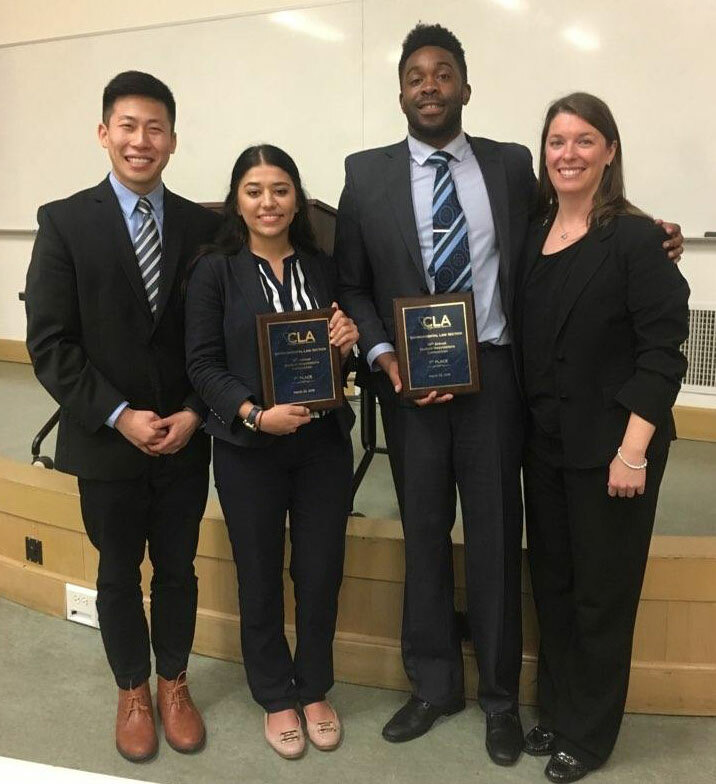 Santa Clara Law’s Student Negotiation Team took first place in the 9th Annual California Lawyer’s Association Environmental Law Negotiations Competition. Yay! The team consisted of 2L Mikaela Burkhardt and 3L Yemi Akilo, with HMCE Student Coach, Charles Huh 3L and Attorney Coach Jamie Ormond JD ’12 providing important support.